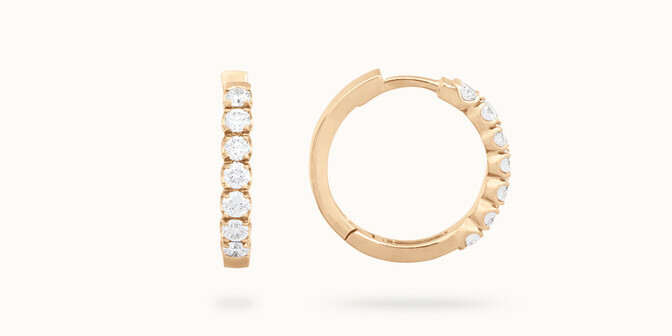 Nothing compares to a pair of yellow gold earrings for feminine chic and glamour. 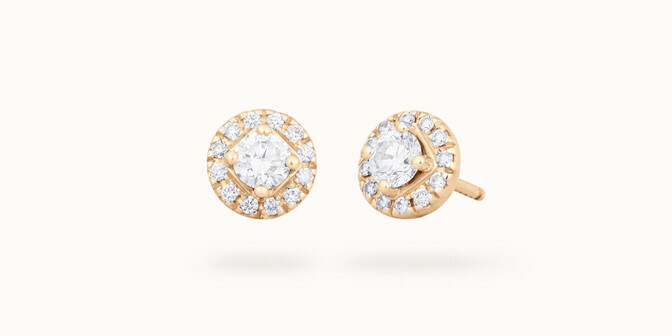 Made with recycled gold and lab-grown diamonds, Courbet's yellow gold earrings satisfy your natural desire for beautiful things and your concern for the ethical treatment of people and the planet. Created through technology and human ingenuity, these stones avoid the environmental and physical toll of mining. Recycled gold leaves natural resources intact by repurposing end-of-life electronics. By choosing to wear Courbet jewellery, you reconcile beauty and sustainability. Like every creation imagined in this Parisian landmark and heart of fine jewellery, yellow gold earrings by Courbet are meticulously crafted by the foremost master jewellers and embellished with the purest stones. Lab-grown diamonds are presented with a certificate that guarantees their colour and clarity. Every collection contains an array of sober, elegant designs. 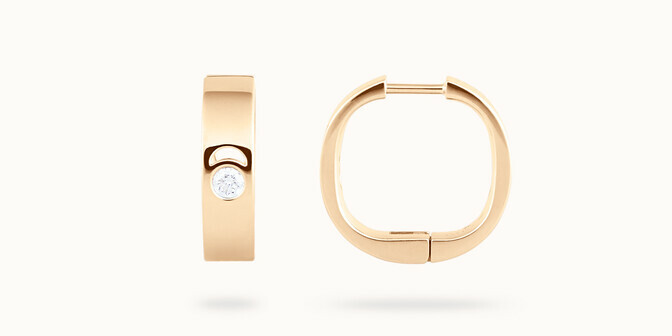 By favouring pure, contemporary lines, Courbet confers a timeless quality on all its jewellery. 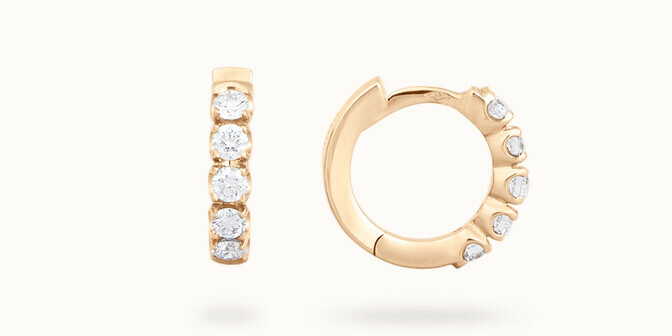 Imagined for today's busy, active woman, earrings by Courbet are made to be worn every day. 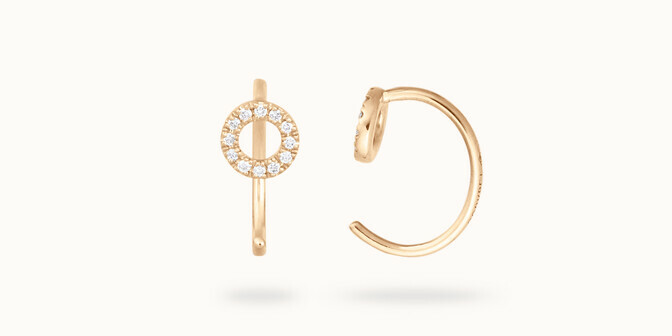 Fans of hoop earrings will hesitate between a classic circle set with seven diamonds and a more contemporary style; perhaps Eclipse or possibly CO.BE and its association of a link chain with a diamond-studded band. 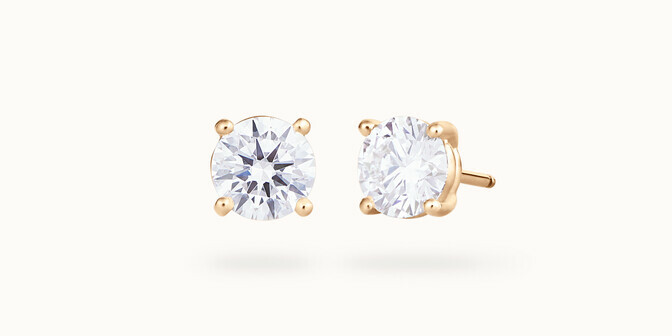 As for our Céleste and O2 drop earrings, they show off a graceful neck and draw attention to a modern updo. 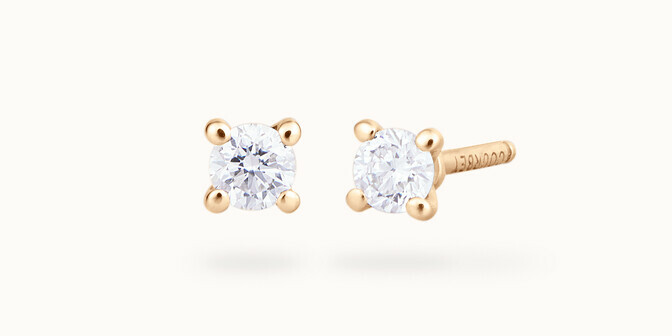 Settle back in the comfort of your home and admire each earring while browsing through Courbet's website. Or make an appointment at your convenience with one of our advisors.